“constructed a makeshift house, complete with grounded plumbing. Then, they doused it with simulated lightning in an electricity testing facility to find out whether the voltage really could leap from the sky to the shower. 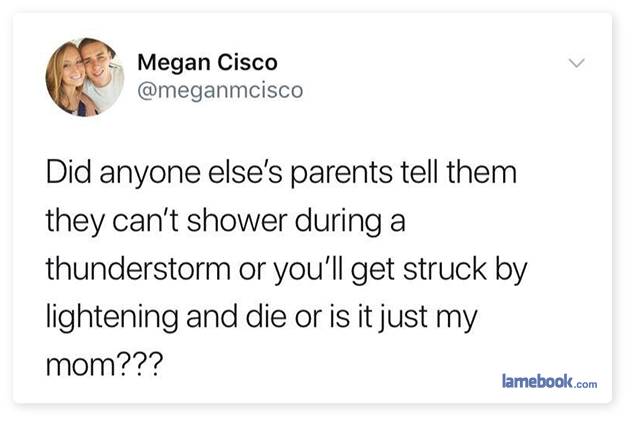 My ex-gf’s mum got struck by a lightning when she was in the shower.